Feb. 14 is Valentine’s Day – a day to celebrate love in its many forms. Nearly 50 years ago, February was designated as American Heart Month. During this month, we raise awareness about the risks for heart disease and stroke as well as healthy lifestyle changes that can reduce cardiovascular risks and promote healthy hearts. One in four Coloradans dies from heart disease or stroke. High blood pressure is the number one risk factor. A person with high blood pressure is three times more likely to die from heart disease and four times more likely to die from a stroke. About 25 percent of Coloradans know they have high blood pressure, but only about half have it under control. Use the heart health tools. Set lifestyle goals and track progress. See presentations for healthcare providers on topics related to blood pressure control. Get the Million Hearts™ Blood Pressure Toolkit, including the new "My Blood Pressure Wallet Card." 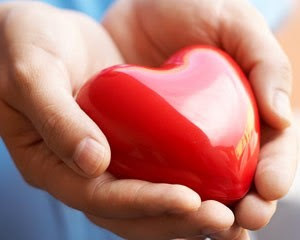 Heart-smart "gifts" for Valentine's Day—New virtual gifts from Million Hearts™ include tips for staying on the path for a heart-healthy life.